Castaway Paradise is basically Animal Crossing without the heart and soul that made those games so immersive and appealing. That doesn't mean it is bad, but it does mean that it won't grab you for much longer than it takes to get your fill of the mostly easy achievements before you get bored and want to move on to something else. Thanks to the $13 asking price, however, it's still more than worth checking out if you're itching to run errands for an island full of anthropomorphic animals for a few hours. Continue reading our full Castaway Paradise review for all of the details. In Castaway Paradise you play as a human who washes up on the beach of a tiny island after a storm. Leaving the island and getting back home isn't ever even brought up for some reason, and instead you quickly settle in to doing chores for the citizens of the island in order to make friends and earn your keep. There aren't that many other people - in this case anthropomorphic animals just like in Animal Crossing - on the island, however, and they all have about as much personality depth as a dry puddle. Part of what made Animal Crossing interesting was the wide variety of characters that would come and go from your community as well as the annual events and special occasions that happened throughout the year as you played. Stardew Valley followed a similar formula to great success. You actually care about the characters in Animal Crossing and Stardew Valley because the games have a ton of real relatable heart to them. Castaway Paradise, on the other hand, never changes. It's always bright and sunny and there is always the same small handful of other characters to help via the same boring fetch quest chores over and over again. Nothing "special" or interesting ever happens on these islands in Castaway Paradise. That isn't to say there isn't a lot to do in Castaway Paradise, but most of it is boring. 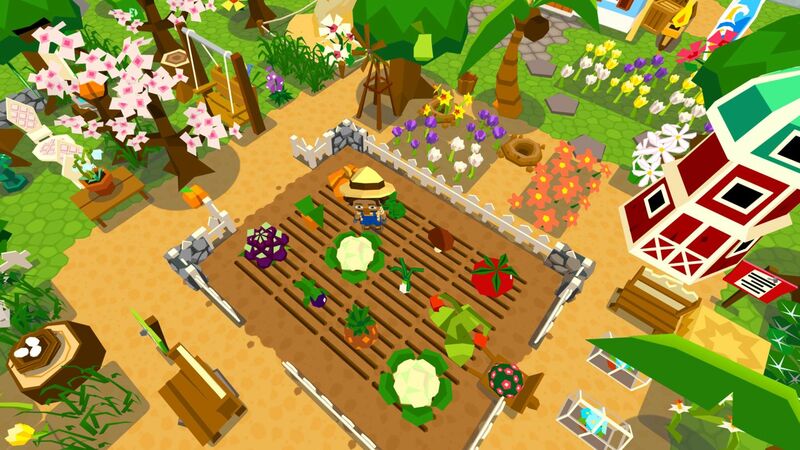 Just like in Animal Crossing you have to keep the island free of weeds, you can pick up trash, you can collect bugs and catch fish, there is a museum to donate stuff to, and you can also collect various types of fruit from trees and even plant your own flowers and vegetables. 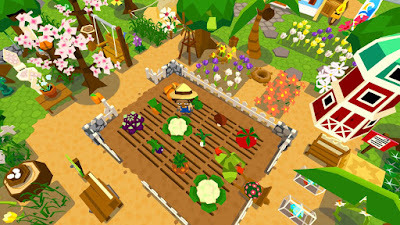 Surprisingly, money is incredibly easy to come by in Castaway Paradise as everything can be sold for ridiculous amounts of money (especially the fruit) and you earn money by doing missions for other characters as well. You can fix up the island (it was damaged in the same storm that brought you there) and upgrade all of your tools with plenty of money to spare in just a few hours. At that point all that is left to do is start decorating your house and the island itself with a huge catalogue of "stuff". 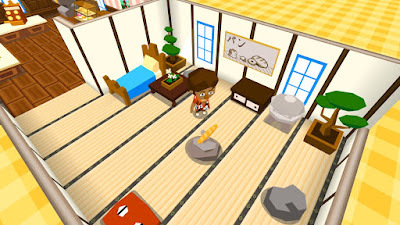 There is a ton of junk to buy and collect and carefully place to turn the game into your own version of "Hoarders". 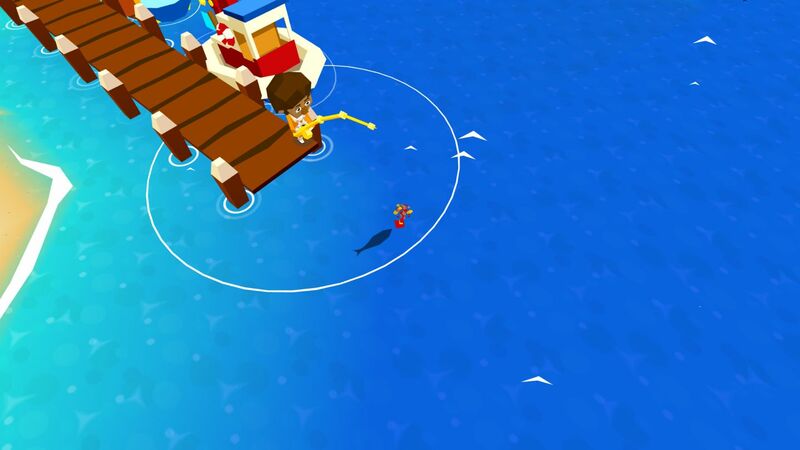 Unlike Animal Crossing and Stardew Valley, which you can play for a long time thanks to their dynamic characters and seasons and other things, Castaway Paradise has a distinct feeling of diminishing returns a few hours in. When you've fixed everyone else's homes, cleaned everything up, and bought everything in the store you're interested in, there is nothing to keep you coming back unless you just really enjoy the grind of shaking trees and watering plants. The game gets really, really repetitive and pretty boring a few hours in. For the price, however, I think that's probably OK. It's fine to feel satisfied in fixing up the island, earning a ton of easy achievements or trophies, and then move on. The presentation in Castaway Paradise is pretty nice overall. The island is bright and colorful and it just looks nice. The characters are like a cross of Animal Crossing and Minecraft, interestingly enough, as they're pretty blocky even if the rest of the world isn't. The sound is also fine and the catchy upbeat music on loop somehow manages to never be annoying even though there isn't a lot of variety. All in all, Castaway Paradise is an OK Animal Crossing clone but it won't hook you and keep you invested quite like Nintendo's series can. It's definitely fun for a couple of hours, but it doesn't have the heart or soul or quirky personality and humor of Animal Crossing or Stardew Valley. For $13, I think it is still worth checking out just for some easy achievements and a few hours of mindless running around on a tiny tropical island.